AWESOME AWESOME PIZZA. In love with it since day 1. Sal’s pizza is superb!! It beats every other pizza joint in Waukesha. Excellent pizza. I can’t stop ordering. I’m hooked big time!! Thanks for the good food and friendly delivery! I decided to try there taco plate with great hesitation. Italian Resturant making Mexican food? To my surprise that was probably the best taco plate I have had in WI. It had the Santa Fe, NM flavor. The salsa had a bite to it but was delicious. Beans and rice were delicious. I will be making Sal’s my new go to for Mexican food!!!!! Sal’s is honestly the best pizza there is in Waukesha. I am from Milwaukee where we have really good pizza. But when I came to Waukesha I couldn’t find anything that even compares to it. I tried them all Marty’s, Matteos, Rosati’s but nothing felt like home until I had Sal’s. I used to work at the Sheriff’s office and once we found that place we never stopped ordering. They have the best Garlic Spinach pizza anywhere. 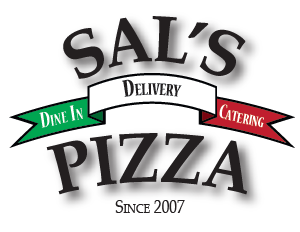 Have something to say about Sal's Pizza? Let us know, we'd love to hear what you think! Please fill out the form below to submit your review to Sal.